Join the Interiors Chat community! 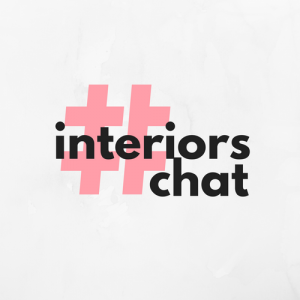 Interiors Chat is a social and knowledge-sharing community on Twitter and Instagram. The place where interiors lovers, professionals and businesses meet to chat about everything design and home decor. Learn from industry experts and share your design stories with like-minded people. Whether you are a blogger, professional designer, interiors lover or business (from indie creatives to bigger companies) everyone is welcome to join the conversation. There’s a new exciting topic every month, as chosen by the special guest. You will also have the chance to interact and learn from the expert guest and the community. New to Twitter chats? Check this article to learn why they are so much fun — and good PR for your business! Don’t miss the next Interiors Chat. It happens the first Thursday of every month at 20:00. Click the button below to follow us on Twitter and we’ll keep you posted with the details. Interiors Chat is in the process of expanding to Instagram, following the success of the monthly Twitter chat. A new social platform means exciting new ways to connect with fellow design lovers, learn from industry experts and share your stories. The Instagram account hasn’t been officially launched yet. Follow us for exciting sneak peeks of what’s to come. Can’t wait? You can start sharing your design stories using our hashtag, #InteriorsChat. You could be the next Twitter chat special guest! We had award-winning interiors bloggers, Elle Decor-featured homeware retailers and experienced design journalists amongst others. And once the Instagram account is launched, your expertise will reach even more people. You don’t have to be an influencer or a huge company. We’re looking for experts that have a meaningful message to share and have an engaged social media audience. We’d love you to be a leading voice and authority in the community. Get in touch today to find out more.